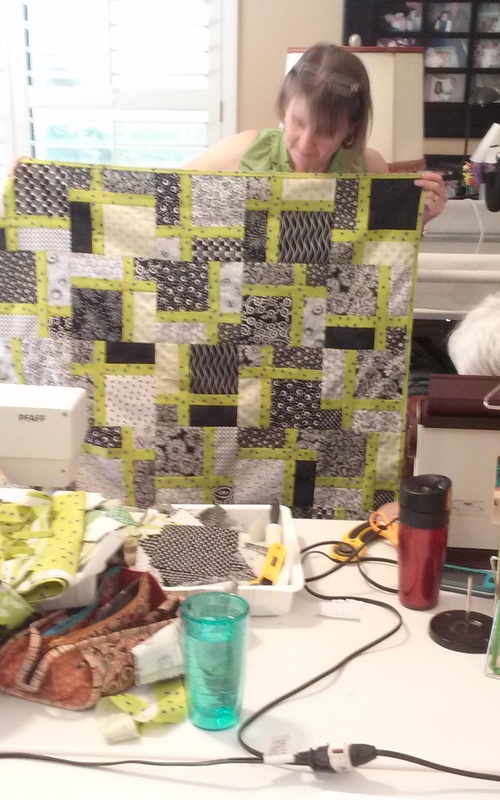 I love my “Its Tuesday I’m sewing” group. Everyone is so talented. 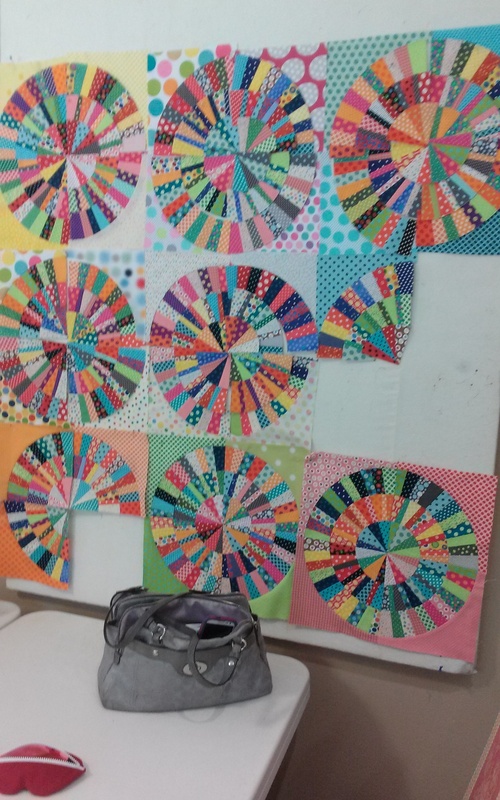 Here are a few of the recent works of art they have made. Every piece of fabric in this is a dot. Claudia is also into round things. 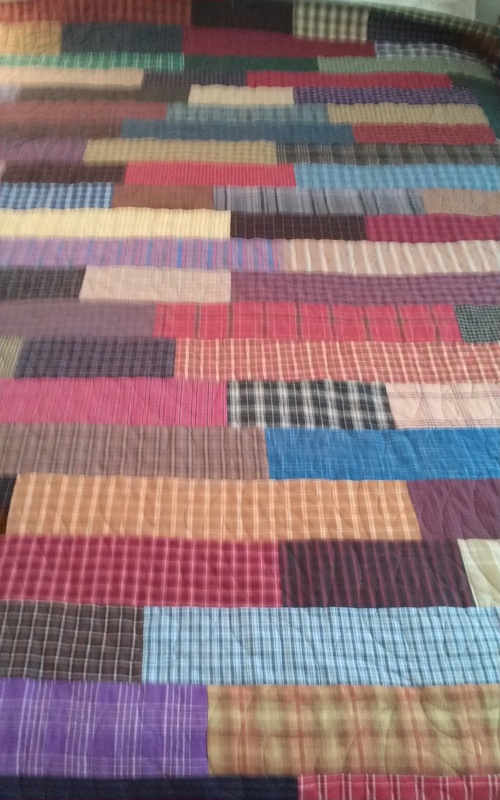 She made this quilt for a nephew who will be going to college in the fall. He must be quite an athlete, he has a soccer scholarship. 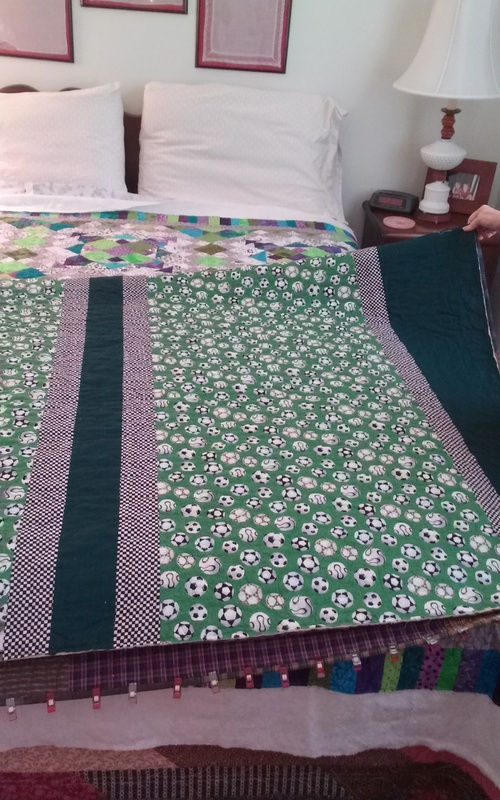 Cute soccer balls are quilted into this “manly flannel quilt. I think I’m featuring Judy’s work today. She has been a busy woman! 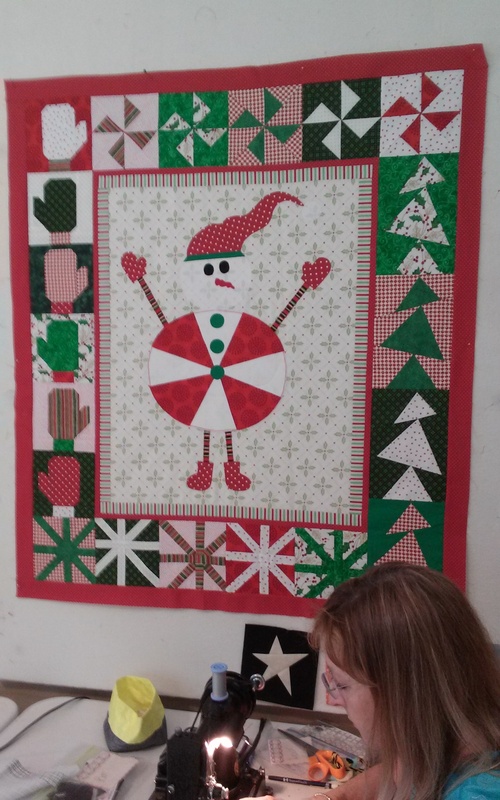 This cute Christmas quilt was made in a workshop. 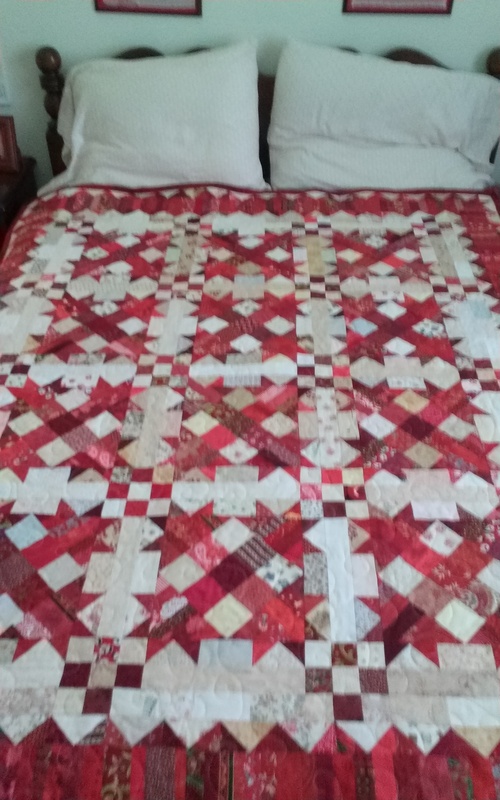 Debbie likes to make “spiderweb” quilts. How pretty is this one? Cathy finished this top, it is one of my current favorite color combinations. Nancy monkeyed around with cute little “monkey wrench” blocks. I’m losing daylight…we have had spectacular weather this week. Have a great weekend, Sweetie! It is serendipitous that today Neil and I are going to Ikea to purchase cabinets for the mountains of fabric and sewing supplies in the house. Today is our wedding anniversary. Congratulations to you,too. How many years has it been since you met my dear son-in-law? I am pleased to tell you that I returned to sewing this week. 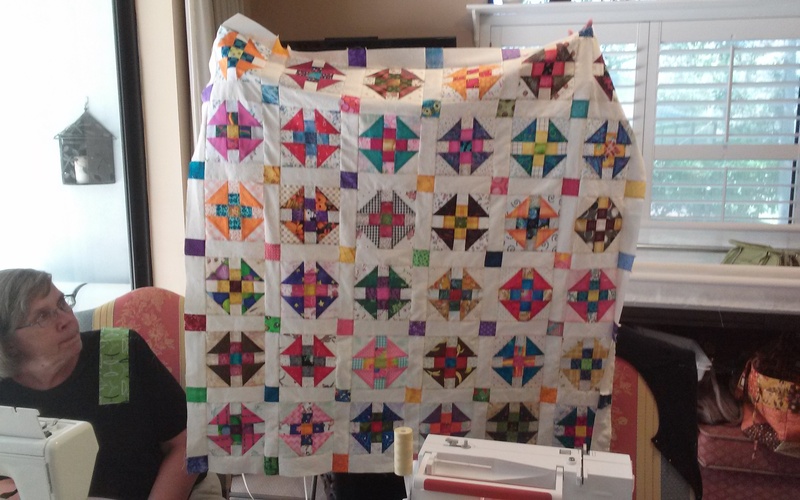 I thought it would take a while to feel comfortable with my quilting machine, but it felt WONDERFUL! 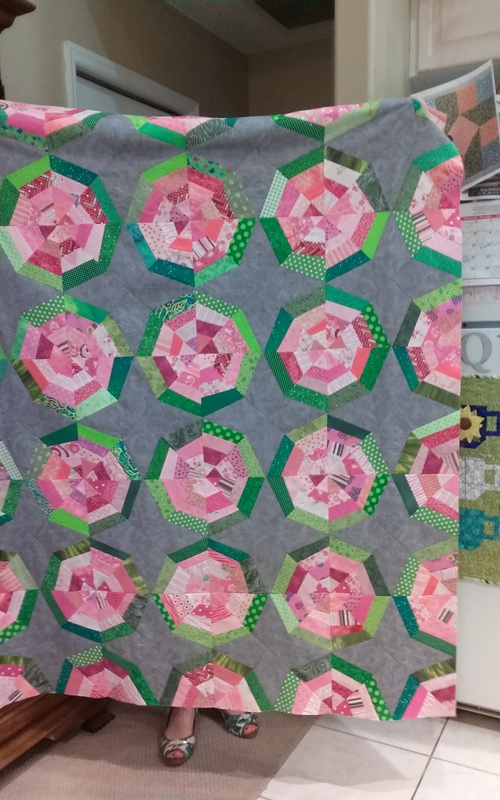 My Dear Jane group met this week, I have the middle of the quilt sewn together,on to the borders. It had been a long time since Kathy, Ruth, and I had sewn and talked. I hope your weather is as nice as ours. After Neil and I fight at Ikea we are going to celebrate our anniversary at a restaurant dining outdoors!